Feet aren’t exactly the first thing you look at when you meet someone. However, if they were more publicly displayed, you’d notice that many of your close friends and family probably suffer from a strange bump on the lower joint of their big toe. 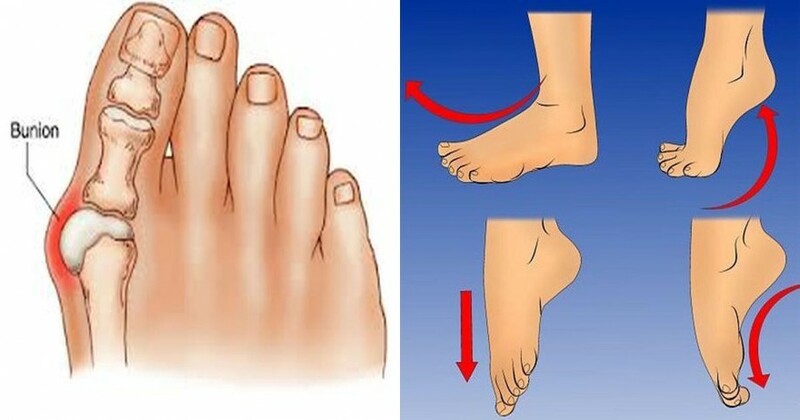 This rotates the big toe towards your other toes. The medical term for this condition is “bunion” (1). This condition can also affect the small toe and may cause intense pain and discomfort as it develops. Bunions are extremely common, affecting 23% of people 18-65 years old and 36% of elderly adults (2). The most common cause of bunions is genetics. In fact, it’s a highly inheritable trait for men and women of European descent. Chances are, if you have bunions, your children probably will too. While the condition is most often an inherited trait certain outside factors such as foot injuries or deformities present at birth can increase your risk of developing bunions (3). Inflammatory conditions, like arthritis, or lifestyle factors, like spending a lot of time on your feet and wearing improper footwear, may also contribute towards the condition. Even if your bunion isn’t interfering with your day-to-day or causing any pain, it may worsen over time and limit your mobility in the future. However, there are a few things you can do halt the progression of your bunion (4). Purchase well-fitting footwear that is wide in the toe area. If you frequently experience pain cause by your bunion, try the natural remedies below. Warm up a bit of olive oil and use it to massage your bunion twice a day for 15 minutes. This will help increase blood flow throughout the foot and stimulate synovial fluid movement in the joint. As you massage, practice the technique in the video above to increase flexibility and strength in your toe to push it back into its natural alignment. You can also add more olive oil to your diet to fight foot inflammation and pain (5). Applying a heat compress to your bunion provides relief, but it isn’t very practical if you run around all day. Instead, apply pepper juice to your toe joint, wrap it with a bandage and get on with your day. Peppers contain capsaicin, a compound that heats up your skin to relieve pain and inflammation. It’s actually the main ingredient in most heat therapy ointments. All peppers produce capsaicin, but using stronger peppers like cayenne may cause skin irritation and a slight burning sensation, so trick to red pepper (6). The Castor oil‘s anti-inflammatory properties help reduce swelling and improve joint mobility (7). Heating up the oil will also soother tight muscles in the foot to free up your tendons and relieve pain. To use, gently heat ½ cup of oil into a small saucepan until it is warm to the touch but does not burn. Dip a thin cloth into the solution, wrap it around your foot and cover with a towel to prevent heat loss. Leave it on until the cloth becomes cool and repeat up to 3 times a day for pain relief. Epsom Salts contain the powerful compound magnesium sulfate, which has been known to reduce inflammation and pain (8). It also relaxes sore muscles, reduces stress, and improves nerve health. To use, add half a cup of Epsom salt to a foot-sized tub of hot water and soak your feet your 20 minutes. Follow-up with a light massage and repeat twice a day. After a long day on your feet, use an ice pain to provide temporary for intense or sharp pain. Simply apply for 10 minutes at a time and repeat as often as needed until the pain subsides (9). This massage focusses on releasing tension in the connective tissue in your foot that may be causing or contributing to your condition. To start, sit down on a comfortable chair with your feet firmly on the ground. Grab a new pencil and use the eraser to apply light pressure right above where the inside of your big toe meets your foot. This spot should feel a little sore. Place your other hand above your foot and push your foot in the direction of your little toe. As you do so, push the pencil into your big toe with maximum force. Next, lift your heel up and down 10 times to get a deeper stretch. It might hurt a bit at first, but doing 30 repetitions of this exercise 3 times a day definitely helps.